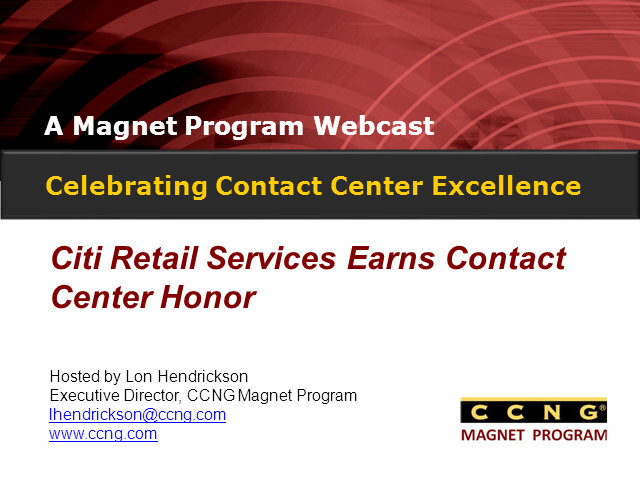 CITI RETAIL SERVICES, with contact centers located in Phoenix and Tempe, Arizona; and Mississauga, Ontario continues to outperform and has once again earned World Class honors. Congratulations! At the CCNG Magnet Program we are happy to shine a light on their teams and this terrific accomplishment. Do you survey your customers? Are you getting the quality or quantity of data that you did in the past? How do we evolve to break the survey mentality and tap into the "treasure trove" of data? Watch this 4-minute interview with Nate Brown as he shares some highlights for an upcoming live webinar on August 14th.